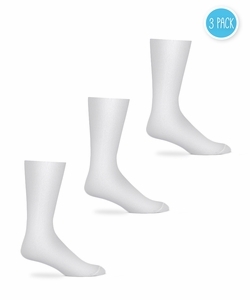 Crew length socks, Featuring No elastic top, and fully reinforced nylon heel and toe. These socks are 100% cotton and do not stretch. These socks fit the exact shoe size shown in the drop-down menu.